Would you be interested in a job coming up as Prime Minister ? VIN 1797, Twin Dealer Stripes, Dark Rims, Black Interior, Gas Flap, D-Locked, brushed by the master. Just thinking this event is going to come round pretty fast. Is there a cutoff to register for it with the german club? Also does anyone know what the registration fee is, and the room costs at the hotel? Corsair wrote: Events .Can we have dates for June meet if any to plan time away to include Hamburg if trying to do both? 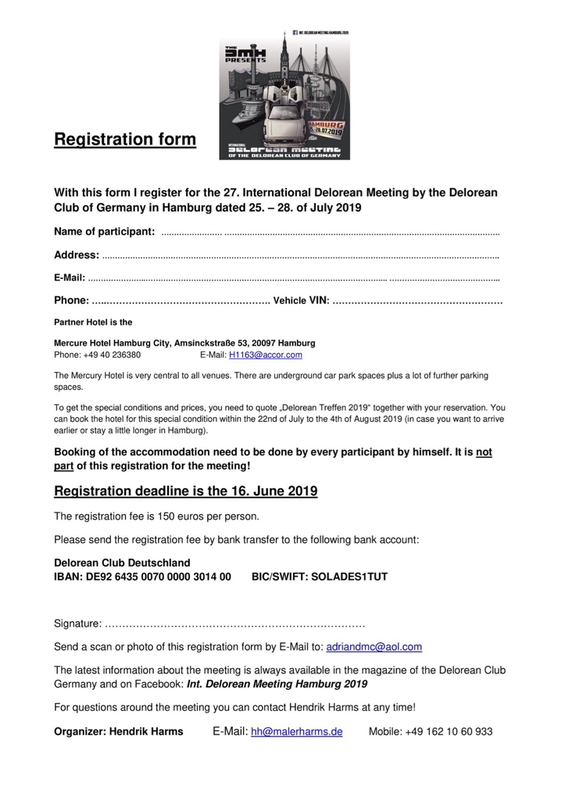 June meet will be on the weekend of 7th/8th June. Just waiting on price confirmation then it will have its own thread. Thanks. Hope to be there. Due to work constraints, I can’t spare the additional time to drive there and back. Myself, Alex and Julian/Lisa are flying over to arrive around 10pm Thursday and leave Sunday evening.